Life is tough for a single woman in a new city. Find an apartment, pay bills, hunt for a job... and dodge paramilitary vampire hunters. Cecilia Freeland didn't ask for vampirism. All she did was fight to survive. But her life is forever changed. Alienated from society and the law Cecilia has to stay ahead of Squad Five. Applause, howls and whistles, not driven by art appreciation, but from more base motives, blasted out an instant after the stage performance concluded. In a span of one breath, a wave of beer, hard drink and cheap cigarettes, it broke past bouncers and turned corners to hit her nostrils with a backhand; an intrusion into a gathering of perfumes, deodorants and makeup. The audience may as well be sitting in the dressing room ogling the ladies still getting dressed for the pole, changing to wait tables or cover up to go home. One woman, Cecilia Freeland, had large captivating eyes and sensuously pronounced cheekbones, suffered the olfactory advance more than anyone else because of her condition, or whatever they called it. Rather than make Cecilia weak and sluggish, she, barely a couple inches above five feet, became afflicted with inhumanly athleticism and health. In eleven years Cecilia never came down with anything, and even recovered from being shot twice without going to a hospital. No disease Cecilia heard of replaced twelve of her teeth with needle sharp ones. It also left her ghostly pale with some weird form of anemia. 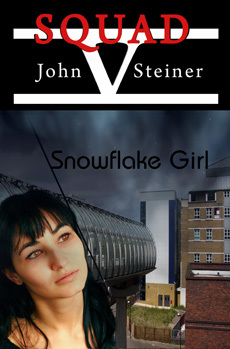 Her hair color grew out to a snowy light beige, it even turned her irises red and her skin albino white. Doubly bad with Cecilia’s Black father and Latina mother with some Mexican Indian mix, which Mama wouldn’t talk about. So sensitive to sunlight, stepping out into daylight led to radiation burns. That began when Cecilia’s skin bleached out in patches in her high school senior year leading to the worst nickname anyone could have in her old neighborhood. No disease she heard of replaced twelve of her teeth with needle sharp ones. It also left her ghostly pale with some weird form of anemia. Her hair color grew out to a snowy light beige, it even turned her irises red and her skin albino white. Doubly bad with Cecilia’s Black father and Latina mother with some Mexican Indian, which Mama wouldn’t talk about. “Oh, that’s how old you are,” Cecilia shot back cheerfully, leaving in her dance outfit. Cecilia turned down the hall toward a short set of steps to the stage slowly entering into the folds of misgiving and loathing. It’s not as if she asked to be a stripper, but that’s all the night stalking prick left after ruining her life. No other night job paid so well and, despite the audience, dancing remained her first love. Before stepping out of the curtains into a glaring volley of stage lights, Cecilia slipped on her playa’s face. She also chanced a peek, despite a downside of excellent night vision, for anyone standing out from crowd of men who advertised their hard on with a grin. Over a din of lewd boasts, lustful wishes and a DJ announcing Cecilia’s pending act, her sharpened hearing picked out nothing she could peg down as an undercover cop.